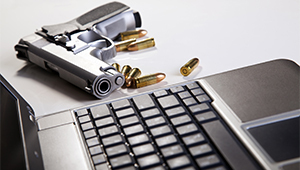 The Firearms and Ammunition Technology Division (FATD) provides expert technical support to ATF, other Federal agencies, State and local law enforcement, the firearms industry, Congress, and the general public. This Division is responsible for technical determinations concerning types of firearms approved for importation into the United States and for rendering opinions regarding the classification of suspected illegal firearms and newly designed firearms. Further, FATD provides the U.S. Department of Justice, State prosecutors' offices, district attorneys' offices, and military courts with expert firearms testimony on the identification and origin of firearms and other matters relating to firearms and the firearms industry. The Division maintains an extensive firearms reference collection, as well as technical firearms reference files and library and firearms databases. The mission of the Firearms and Ammunition Technology Division is to serve as ATF's technical authority relating to firearms and their classification under Federal laws; to respond to law enforcement agencies requests to test, evaluate, and provide expert testimony on firearms and ammunition; and to provide technical services to the firearms industry and other members of the public. Testing and classification of products submitted. Curios or Relics (C&R) determinations (see the C&R page prior to submitting a C&R inquiry).